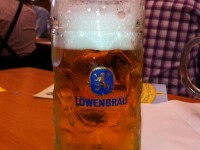 I am going back…to Oktoberfest! 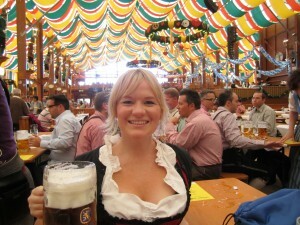 Everyone should go to Oktoberfest at least once in his or her life. It is a test of endurance and human spirit. It is an experience like no other, and I promise before you finish your trip you will already be planning for the next year. That is right – it is going down! I am super excited to be making my way back to the lovely Bavarian city of Munich. Last year was just a dress rehearsal for this year’s Beerfest. With my dirndl already in hand I am pretty much ready to go. This year will be a whole new set of adventures, but hopefully with no lost belongings or people. Check out last year’s escapades (So You Wanna Go to Oktoberfest… and 10 Things I Learned in Munich), and stay tuned for more Oktoberfest updates!